Your AC system’s air filter is one of its most important components. The simple and lowly filter affects the proper airflow of your system and filters out impurities preserving the indoor air quality of our homes. Yet it is one of the most forgotten pieces of maintenance in a household. As any Bowmanville AC repair professional will tell you, your air filter is a vitally important part of your system. Your air filter should be checked each month and changed approximately every 3 months. A filter that is dark and clogged looking should always be replaced. The best filter is one that meets the needs of your particular household. By considering the minimum efficiency reporting value, or MERV ratings, you can determine which level of filtration is best for your system and family. Air filters can be comprised of different materials and can be various sizes, configurations, and be rated by the percentage of particles they remove. An air conditioner repair expert in Bowmanville can help direct you to the right filter for your home and your family’s needs. Fiberglass filters are the most inexpensive filters available. They are a thin panel of woven material. With a MERV rating of 1 through 4, they only remove the largest of airborne particles. These are a step up from the fiberglass filters and have a MERV rating between 6 though 8. They have smaller pore sizes, so will remove a large percentage of allergens. These filters are the ones typically seen in households today. These filters hold an electrical charge that will attract airborne particles and are rated at a MERV rating of approximately 10. These filters can last up to eight years with a MERV rating of 8 to 10. These filters are generally rated at around a 13 MERV rating but can be rated as high as 14 to 16. These filters are good for households where there are occupants suffering from respiratory ailments. As these filters will capture a large amount of airborne bacteria, they are very good for hospital use. Any filter higher than a 13 MERV rating can often restrict airflow which can lead to higher energy bills. The main function of your air filter is to protect the interior of your air conditioner. All air that reaches your unit’s interior parts will first pass through this filter. Air filters protect your AC unit’s components from dust and dirt. They also can have a large impact on your indoor air quality by capturing airborne particulates before they are circulated through the home. Your filter can also help the efficiency of your system and cut down on costly air conditioner repairs in Bowmanville. 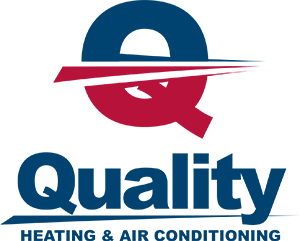 If you are looking for an AC repair professional in Bowmanville of the GTA, look no further than Quality Heating & Air Conditioning. 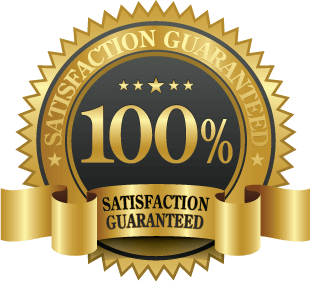 We have served the area for many years and would welcome the opportunity to be your AC technicians of choice.